Texas State Optical Baytown is back open to serve all your vision needs like we have since 1951. We appreciate your understanding during our closure to allow time for us to work to repair the effects of Harvey. We are a proud member of the Baytown community and surrounding areas and pray for any families affected by the storm. In addition, in coordination with Honeywell & VSPOne Labs, we will be donating safety glasses to distribution centers in the Baytown area and at our office (during normal business hours). We want to encourage everyone to ensure they have appropriate eye protection when doing any recovery efforts. We will also be making a donation of safety glasses to the Baytown Police Department and Fire Department to be distributed among first responders. 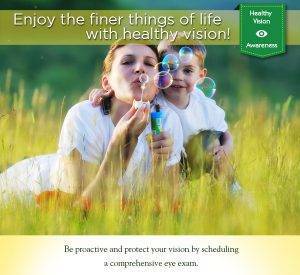 Remember our office can treat and/or diagnosis any eye injuries or eye infections. We are able to work in any eye emergencies for foreign bodies in the eye or eye infections the same day during this time of recovery. If you have lost or damaged your glasses during the storm, we want to do our best to help you get a new set. Please contact our office and we will work with you to get them replaced through our various partnerships with insurance companies and vendor relations. Texas State Optical Baytown on Texas Avenue is proud to be the only TSO serving the Baytown community since 1951. We stand with our community during this time of recovery and will do our best to help any efforts possible. Please stay tuned to our social media channels and websites as we roll out additional items that will help Baytown and surrounding communities. We wish you and your families the best while we begin the road to recovery.